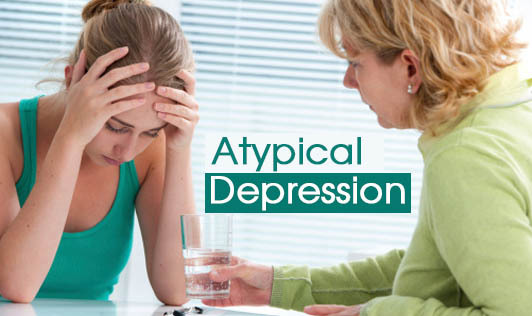 Atypical depression refers to a type of depression that can have symptoms that are very similar to those of major depression, although it does not have the number of symptoms required for a diagnosis of major depression. This type of depression usually starts in the teenage years and is more common in women than in men. Note: Depression may get worse if it isn't treated. Untreated depression can lead to other mental and physical health problems or problems in other areas of your life. Please contact your doctor today if you're feeling depressed and you're unable to cope with it!